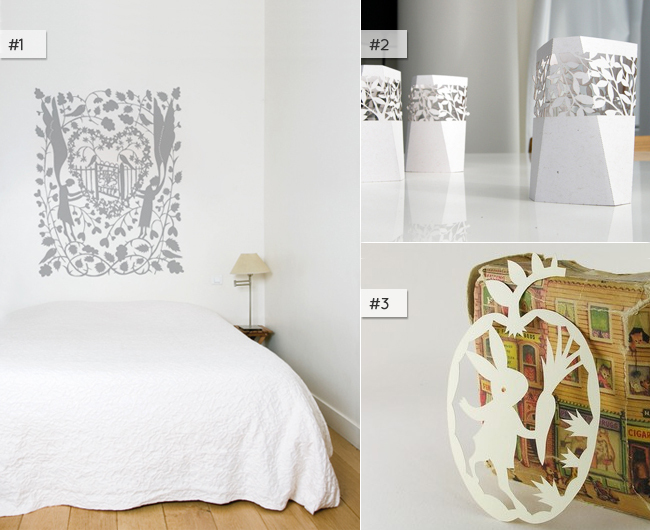 Rob Ryan, A Little Hut, Fog & Thistle... What is papercut!? A classic craft that I will never ever tire of. I love the Rob Ryan papercut. I do my own papercuts and i would love to develop to be as good as him! I like the bunny one! Wow! those Votives are so so so beautiful!!! what an amazing selection, I think I love everything Rob Ryan makes!